Yammie - Oklahoma Stickier than Gorilla Glue "I got these installed a while back on my 2000 WR400f. 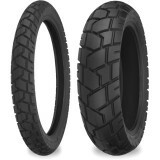 I have put 100 miles on them now and I can't believe these tires came at such a great price. Not once have I felt like I will lose any traction on the street, and I lean it pretty hard sometimes. I cannot say much about off-road performance as I have only taken it through light grassy terrain, but from what I can tell, they stick pretty well on dirt as well. 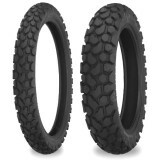 I am overall very impressed with the quality of these tires, and definitely can recommend them to anyone needing DOT tires."